Want the warmest socks you can buy? You’re not alone. Cold feet will make the rest of your body cold as well. The 40 below sock was created by Wigwam Mills in answer to pleas by the US Armed forces. They needed a sock rated for the extreme cold temperatures they face every day out in the field during winter. Several factors go into making the warmest sock. The sock itself does not generate heat. A sock’s effectiveness comes from it’s ability to insulate your feet and retain your body’s natural heat. The more air that a fabric is able to trap the more insulation it provides. If a sock is not able to do this, it will not keep your feet warm. The 40 below is fully cushioned, which means that is is the same thickness through out the entire sock. This provides your feet with nice thick insulation from top to bottom unlike socks that are thinner on the top of the foot. The 40 Below sock is 50% wool. Wool has long been know for it’s ability to insulate. When wool yarn is knit into a thick yarn, it has an exceptional ability to trap air. Additionally, wool fibers are spring loaded. This allows a wool sock to retain it’s loft and also it’s insulating ability. Another great feature of wool is it’s ability to wick sweat and absorb it. Wool can absorb as much as 30% of it’s weight in moisture before it starts to feel wet against your skin. Moisture on your skin robs your feet of it’s natural heat. Moisture management is critical for a sock to be considered as the warmest. Nylon is also used in the 40 Below. The chemical makeup of nylon fibers allow it to retain heat well. Nylon also adds durability to a sock. If you’ve owned 100% wool socks before, you might have noticed that they tend to wear out faster than other socks. The nylon content of the 40 below socks take the brunt of the wear and tear. This makes the warmest sock last almost twice as long as 100% wool socks. As the warmest sock available, the 40 below was designed for use as a boot sock. I know that many of you reading this article would love to wear the warmest socks available to the office. Unfortunately, you can’t always have the best of both worlds here. The 40 Below is too thick to wear with regular business shoes. They would also be a snug fit in a pair of sneakers. As a boot sock, the 40 below performs the best in outdoor activities like hunting, snowmobiling, hiking, construction work, or anywhere you’d wear a boot. The 40 below is especially effective for activities where you are not very active. US Service men and women sit a a post for hours at a time as do hunters. 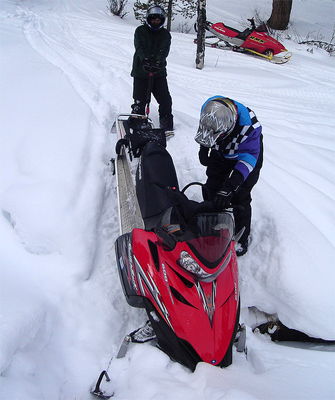 Snowmobiler’s often get cold feet as they sit on their machine riding a long trail. The 40 below outperforms other winter socks in these examples. They retain the maximum amount of heat your feet need in order to stay warm and comfortable. 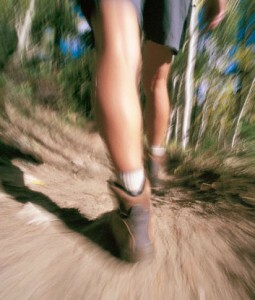 If your feet do sweat a little, the 40 Below wicks that sweat from your feet keeping them dry and warm. They really are the warmest socks available! If you’re tired of your feet freezing in the winter time, the 40 Below sock by Wigwam is your solution. They are field tested by the US Armed Forces. Wigwam originally only made them in black and green. Once civilians discovered how warm they are, Wigwam realized they needed to expand their color selection for their warmest sock. So now you can get the 40 Below to match almost anything you wear in cold weather. Mattress companies do a great job of pointing out how many hours in our lifetime we will spend sleeping. I think that stat is somewhere around 200,000 hours. They use this number to point out how important it is to have the right mattress so that you make the most of those 200,000 hours spent sleeping. Well, the same holds true for athletic socks. If you wear athletic socks for at least 8 hours a day, you are looking at the same amount of hours wearing athletic socks. Your feet directly affect your level of comfort so if you wear athletic socks that aren’t comfortable, you are going to spend a large portion of your life with some level of discomfort. 200,000 hours is a long time to experience foot discomfort because you won’t just invest in some good athletic socks. If you are reading this and thinking that I’m out in left field then you either live in Hawaii and never wear socks or you’ve never experienced how nice your feet can feel with the right pair of athletic socks. I think so many of us just get so used to the way our feet feel that we don’t recognize how anxious we are to take our shoes and socks off at the end of the day. finished with the activity you were involved in had stretched and misshaped to the point that it bunched up all throughout your shoe? Or maybe it wouldn’t stay up on your calf any longer making your calf length socks ankle socks. These are some of the common woes that have been eliminated by modern high performance athletic socks. Lycra or Spandex as it is commonly called has played an important part in making today’s best athletic socks. When combined with polyester, Lycra makes your athletic socks hug your feet so that you get the most out of the performance of your socks. This snug fit also prevents chaffing and blisters. Many sock companies put enough Lycra in the arch of your athletic sock that it actually supports and even promotes good arches in your feet. 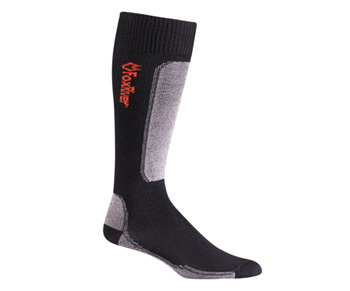 Polyester athletic socks perform so well because polyester manages moisture extremely well. Polyester absorbs very little water. Instead, it spreads sweat from your feet across the entire sock effectively allowing the sweat to dissipate. This keeps your feet dry and comfortable instead of damp and soggy so common with regular cotton tube socks. All of this talk of performance athletic socks might have you thinking you have to spend a lot more for socks that will keep your feet more comfortable. Not so. The fact is, most athletic socks are made of the same or similar materials no matter what company produces them. So, as long as you are educated on what fabrics to look for in a quality athletic sock, you can shop according to your budget and still get top quality athletic socks for the same price you pay for regular everyday socks. I’ll educate you more on other performance fabrics to look for in future posts. 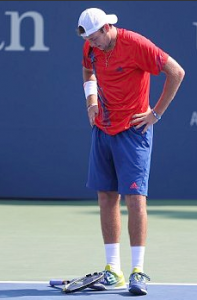 But remember, you spend too much time in your life wearing socks to not have comfortable athletic socks. 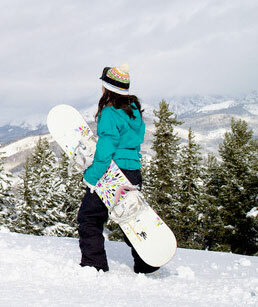 Are you new to snowboarding? Maybe you’re getting ready for a winter trip and a couple weeks of snowboarding at a major resort. Whatever you might be gearing up for, you want to have a blast. You don’t want to get out onto the slopes only to learn that your snowboard socks aren’t what you thought they were and now you’re miserable because your feet are hurt or frozen. This is one of the number one complaints for beginner or novice snowboarders. Don’t make the same mistake that so many others have made. You’ve already invested a lot of money in your board and outerwear. Don’t forget to treat your feet the way you should with a nice pair of merino wool socks designed just for snowboarders. outdoor socks for years. They’ve taken the time to listen to their customers and improve their socks based on that feedback. The Fox River Boarderzone merino wool snowboard sock is a result of seasons of feedback from customers. The high merino wool content insures that your feet stay nice and warm. Merino wool also wicks sweat well so your feet also stay dry, not damp and clammy like you may have experienced with inferior socks. Unlike regular wool, merino wool is extra soft and feels great next to your skin. I don’t know the history of socks, but I can probably guess that a high percentage of all of the socks that have ever been manufactured on this earth through the ages were made of 100% cotton. I would also guess that a high percentage of weekend warrior outdoor enthusiasts still wear 100% cotton socks as their staple for outdoor comfort on their outdoor adventures. If you are reading this and thinking to yourself “Hey, that sounds like me” then let me enlighten you a little bit on what a real outdoor sock is. Your first hint is that it is not made out of 100% cotton. No, when it comes to taking care of your feet so you can enjoy hiking, backpacking, or any other outdoor activity longer, merino wool is the name of the game. Have you tried a pair of merino wool socks? that cotton absorbs lots of water. When talking about socks we’re referring to sweat. Your feet have around 3000 sweat glands per inch. Your athletic socks have to be able to manage moisture well in order to keep your feet comfortable. Cotton socks soak up all of that sweat keeping your feet soggy and cold. Cotton socks also lose their form easily causing them to bunch creating pressure points and making blisters inevitable. Wool socks have been around as long as sheep have. 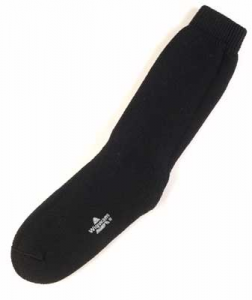 Wool is great at managing moisture and keeping your feet at a nice temperature, but wool socks have a bad reputation for being too itchy or scratchy for the average person. This is where merino wool comes in. Merino wool comes from Merino Sheep. Merino sheep produce wool that is extra fine and soft so it does not feel itchy to a persons skin, yet it has all of the excellent qualities of regular wool. How much do your feet have to do with your comfort on the ski slopes? Frozen feet can ruin an otherwise perfect ski day. So why is it that some people think that they can throw on any old tube socks and not expect to have some degree of foot discomfort while skiing? Sock technology has advanced ten fold since the start of the 19th century. The machines that knit socks and the fabrics available now are so advanced that you no longer have to suffer from cotton tube socks that bunch up, absorb water and kill your feet. In fact, new technology allows sock companies to produce socks that fit each foot anatomically. So let me tell you about the ultimate in ski socks that your feet will absolutely love. called the VVS MV Ski Sock. They added just the right amount of cushion in the shin, heel and bottom areas of the each sock for maximum comfort without creating any pressure points that restrict blood flow. Restricted blood flow is the most common cause for cold feet while you are skiing. Blood flow is critical for cycling warmth throughout your foot to keep it warm. The merino wool content of the sock ensures the right amount of insulation to trap your body’s natural heat keeping your feet nice and warm. Merino wool also has superior wicking and moisture management so that when your feet do sweat, they don’t get cold. The VVS MV merino wool sock also has silk thread interlaced giving it that soft premium feel you’d expect in a high end ski sock.